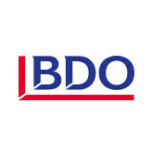 BDO – close to our clients. BDO Ltd is one of Switzerland’s leading providers of full range services in audit, accounting and consulting. In Switzerland, our branch network is the most extensive in the sector with 33 offices nationwide. We set high standards and deliver a tailored service to each of our clients. BDO Ltd Switzerland is owned by its partnership association and its pension fund. On an international basis, our broad and integrated network counts offices in 151 countries. It enables us to offer high-quality services all over the world. Our auditing services are targeted towards achieving real added value for our clients who can expect far more than simply meeting the legal requirements. We give you the freedom to focus on your own competencies and assist you in making important decisions, in everyday business as well as in private matter. Getting the right tax and legal advice plays a key role in your company’s success. One of the few auditing companies to be recognized as an auditor by the Swiss Financial Market Advisory Authority (FINMA), we offer efficient solutions for external and internal audits as well as for the consulting of banks, securities dealers and collective investment schemes. We supply all-round support in M&A, transaction services, valuation and forensic services, for national and cross border projects. Highly qualified teams with extensive experience of public administration and familiar with local conditions enable us to offer a wide range of tailor-made services. As IT is a vital part of the structure of a company, our IT auditors can assist you in monitoring, evaluating and optimizing your IT systems, practices and operations. BDO is the ABACUS provider number one in Western Switzerland of integrated solutions for business management (implementation and maintenance).